Boulder Station proudly offers over 2,800 Slot and Video Poker machines with a wide variety of full pay, ticket-in ticket-out, penny and two cent machines, Live Keno, a 385-seat Bingo Parlor, endless Race and Sports Book action, a beautiful live Poker Room and exciting live Gaming Tables are at the center of all the Fun!! Boulder Station has the look of a traditional western train station, including a hardwood walkway encircling the casino floor and beautiful stained glass features surrounding 42 table games. 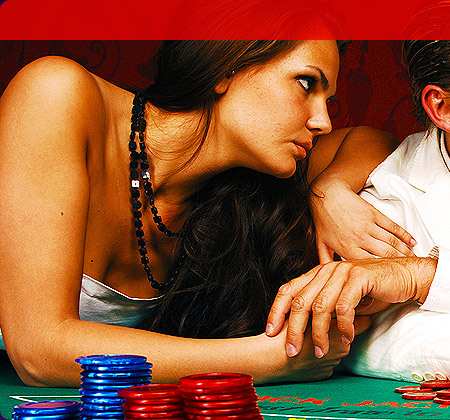 Play at Boulder for better odds and looser slots than on the Strip! Boulder's 8,000 square foot, over 500 seat Bingo Room features a variety of exciting games, large jackpots and daily electronic STAR specials. Sessions run on the odd hour from 9:00am to 11:00pm seven days a week. Boulder Station has now had 13 Jumbo Bingo Progressive winners and has paid out over $2,000,000! Play all your favorite Keno games in Boulder Station's comfortable Keno Lounge. Five And Dime Keno action at Boulder! Boulder now offers an all new Keno Paybook with better payouts! The Boulder Station Poker Room has it all! All-New Jumbo Hold'em Progressive now at Boulder Station! $150,000 Bad Beat Hold-em Jackpot! 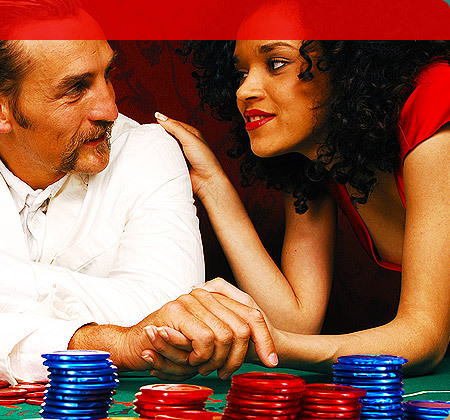 Play poker at Boulder Station and enjoy our liberal comp policy and newly remodeled room! 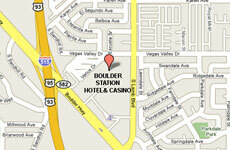 At Boulder Station, you can choose from over 2,900 of the hottest Video Poker, Video Keno and Slot Machines! 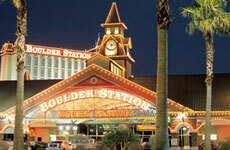 Now at Boulder Station find more of your favorite Full-Pay Video Poker games! Boulder Station also offers over 700 Penny Slots! And, many more of the latest games!